This group has been going for some time, but new members are always welcome. Come along and learn to play or improve and share your skills in a relaxed and friendly atmosphere. 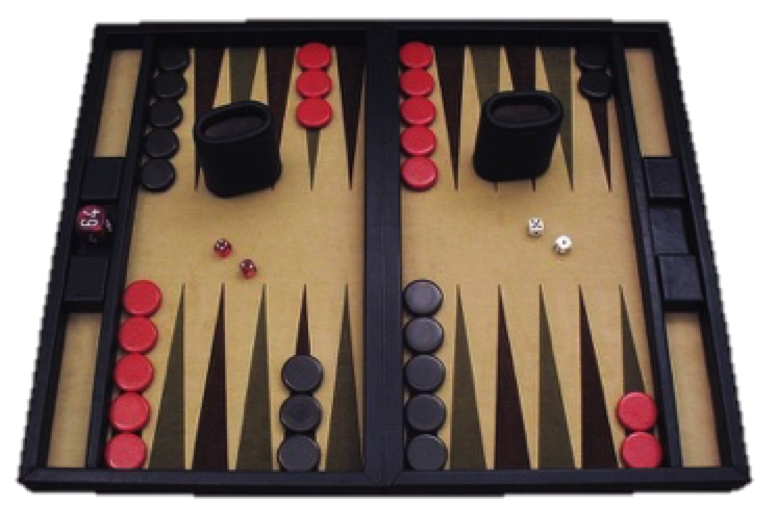 If you have your own backgammon board would you please bring it along with you. Don't worry if you haven't got one, as the regulars have at least one each! We meet in The Brunswick Arms pub with tea, coffee and food available all day, in addition to local beer. If you are interested in joining this group please send us your email address using the link above. Meeting Area: Norton & Swansea central. Meeting Day: Monday Evenings & Friday Afternoons. The usual meeting format consists of supervised play followed by an analysis of interesting hands or points as they arise. We cater for both improvers and beginners and currently have an active membership of 24. Whilst our numbers are limited by the size of the room we could accommodate on occasions take a few more, and prospective players should would be made most welcome. Scenes from our annual Xmas lunch, held this year at Clyne Golf Club, click on the link below. Meeting Area: West Cross Meeting Day: Wednesdays AM. The main game played is called Hearts Contract which has been enjoyed by many U3A Members. The atmosphere is relaxed and laughter is never far away! This is usually followed by members enjoying lunch together. game, amidst fun and laughter. This is a good way to meet andmake new friends amongst the U3A Members. If you would like to find out more about the Cards For Fun Group please contact the convenor by clicking on the link above. Meeting Area: Swansea Meeting Day: Tuesdays AM. Do you enjoy the 'Coffee Break' page in the newspaper with its crosswords and other puzzles? Then this group could be for you. The early focus will be on learning and improving ways to solve cryptic crosswords, but it might lead into a more varied puzzle diet. If you have you been frustrated by an inability to solve the clues and have moaned, "I can't do cryptic crosswords!" then we say, "Oh, yes you can!" Meeting Area: Uplands Meeting Day: Last Thursday of the month a.m.
A card game played by two, three or four players, this old traditional game used to be a great pub favourite. If you don't know it you may recognise the special boards with rows of holes used for scoring. It is easy to pick up and quite addictive – also sociable and fun! Mahjong is a fascinating Chinese board game for four players, dating from the Qing dynasty. The cost is £1.50 each per session. We are only teaching the game to play on a social basis at the moment. We will later on teach you how to score and maybe later on we can then join in with other u3a's in the area for league games. Meeting Area: Cwmbwrla Meeting Day: Tuesday A.M.